The Razor Ride and Chamberlain Foundation have received further fantastic media coverage with Ray Chamberlain featuring in two radio interviews this morning. The first was on SEN Breakfast with Francis Leach and David Schwarz, and later in the morning Ray was on 3AW with Neil Mitchell. A big thank you to Francis, David, Neil and the SEN and 3AW teams for promoting the 2016 Razor Ride. 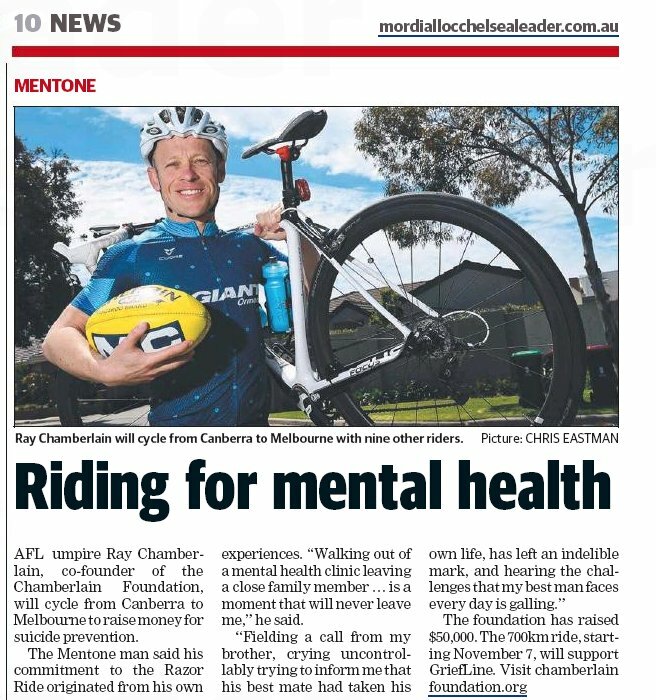 This is the fourth piece of media coverage for the Razor Ride following the recent Herald Sun article and feature in the Mordialloc and Chelsea Leader.